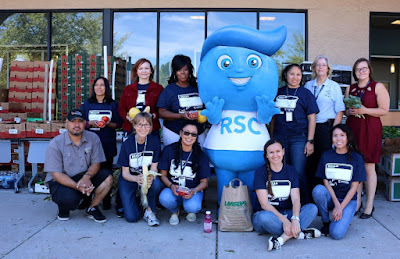 Rio Salado College recently partnered with St. Mary’s Food Bank by offering up its locations including RCS Downtown, RSC Northern and RSC Southern which served as Mobile Pantries (food distribution sites) that provided fresh produce to people in need. Food insecurity is defined as “is a household-level economic and social condition of limited or uncertain access to adequate food” according to the Economic Research Service. Food insecurity affects close to 18% of Arizonans which is higher than the national average. Close to 1 in 5 people may not know where their next meal is coming from. On top of that, Arizona ranks third in the U.S. for high child food insecurity rates where over 456,760 children face hunger every day, according to St. Mary’s Food Bank Alliance. As an alternative to the standard food bank which includes packaged, processed and canned goods, food distribution sites, such as Rio Salado locations, enable St. Mary’s to provide access to fresh fruits and vegetables to people who are struggling with hunger and food insecurity. 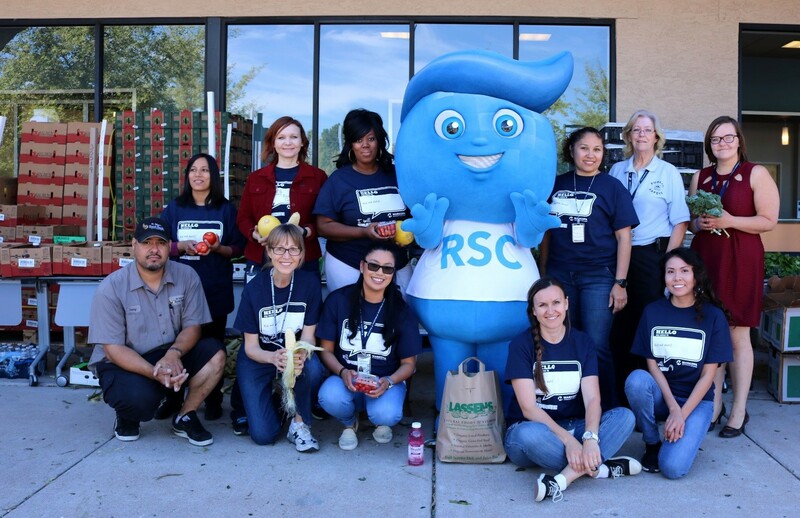 According to Tamara Cochran, Director of Community Partnership Programs, Rio Salado staff packed and distributed fresh food to nearly 2,000 individuals at the three RSC locations. 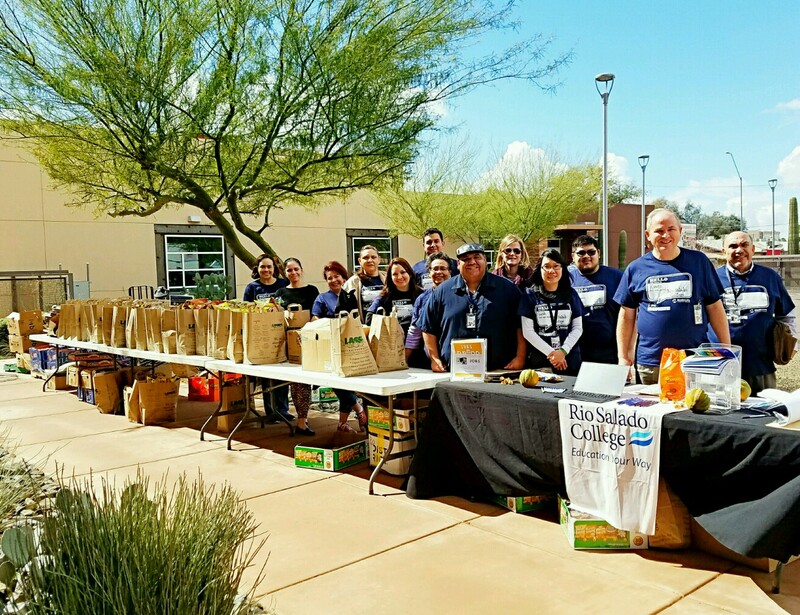 Rio Salado College is proud to partner with St. Mary’s Food Bank by being used as mobile pantry locations to successfully feed the hungry and positively impact our local community. If you or someone you know is struggling with food insecurity, please visit firstfoodbank.org/get-help to learn more about the resources that St. Mary’s Food Bank can provide.